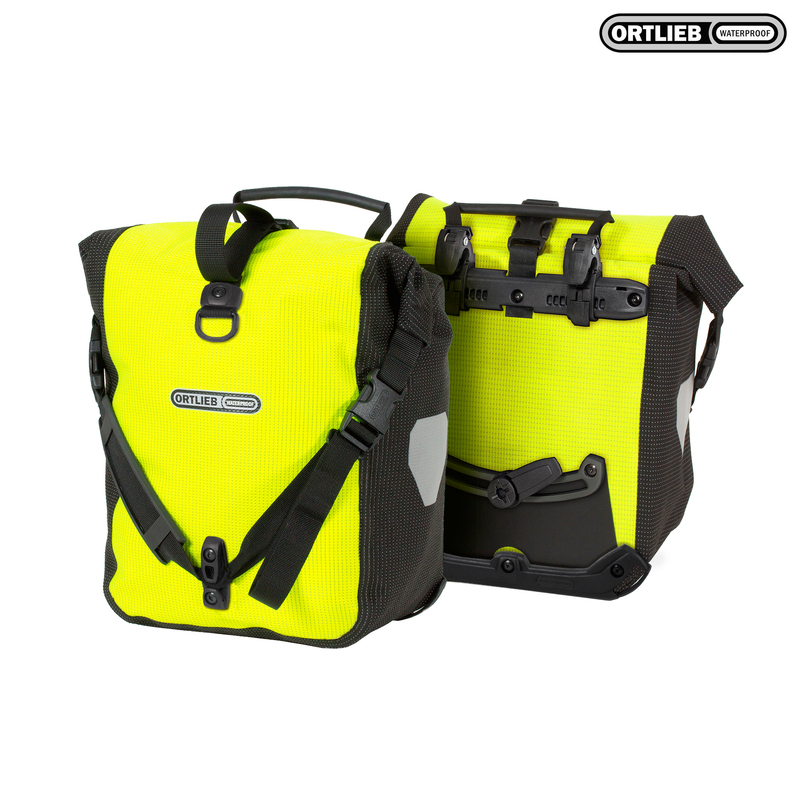 These fluorescent signal yellow - black fabric waterproof bike panniers enhances your visibility in dusk, dawn or bad weather. Sturdy and tough for rough conditions. The Front Roller is designed for lowriders in the front or for the rear rack; it is also the right choice for children's bikes. The handy roll closures are 100% waterproof, and provide plenty of room for your belongings. With the QL2.1 system fixing to the rack is quick and easy.